Looking for a Kitchen TV? A TV for the kitchen can really make life easier. No more leaving to check in on a show only to have a pot boil over and no more complaints from kids about having to halt the morning cartoon to eat breakfast. And if you love following cooking shows and working along side them, there is nothing else that will allow you to do it successfully. You can find some useful tips on this page to choose the right one and examine what option would work best in your kitchen. 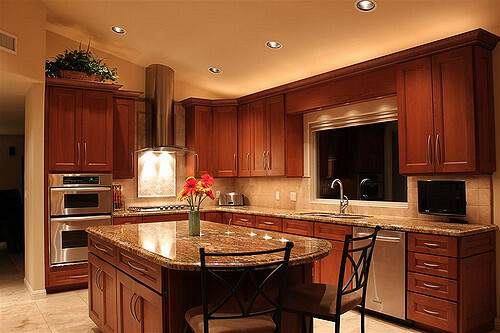 Under cabinet screens are generally 7 to 9 or 10 inches, while counter top and wall mounted screens can be larger. Under cabinet TV screens can sometimes swivel; this allows easier viewing when you aren't right in front of the screen. Counter top TVs can have a swivel base added to them. A remote control is obviously a convenience item that allows you to operate the TV even if you aren't standing next to it. Be sure it is easy to use. A small CRT screen can be used as a TV for the kitchen and they can save money. However they will take up significantly more space than an LCD. Counter top models obviously consume more counter top space, under cabinet mount models take up less space, and refrigerators with TVs included consume the least space. Wall mount TVs are good if you have the wall space to spare. 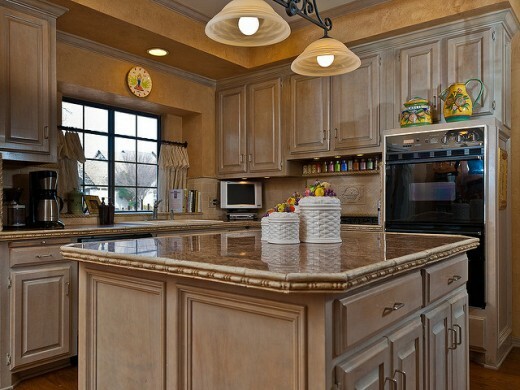 If you want to have a kitchen TV that you can move around, countertop models are the best route to go. You'll just want to locate it where it is unlikely to get knocked over, splashed too much, or be exposed to excessive heat and moisture. Make sure the television has any inputs for other devices that you might want to connect to it. Some kitchen TVs offer a clock, radio, the ability to play CDs and DVDs, a digital photo display, a cooking timer, weather information, temperature, and so forth. They may even have an Eco function allowing it to adjust brightness based on lighting in the room. 1080p is great but for a small TV, 720p 60Hz is probably sufficient. Some TVs will also offer protection against the humidity and other risks that might be found in a kitchen; things like splatters and spills. Counter top televisions offer the ease of simply opening the box and setting the television up on the counter. No messy installation, no tools, and no holes in the cabinets. These kitchen TV models also offer portability. They can be moved to a different location on the counter at a moments notice or to another room if a guest arrives. A TV for the kitchen is best designed specifically for such use so that they provide better resistance to spills and an improved tolerance of the heat and humidity present in a kitchen environment that can damage typical televisions. 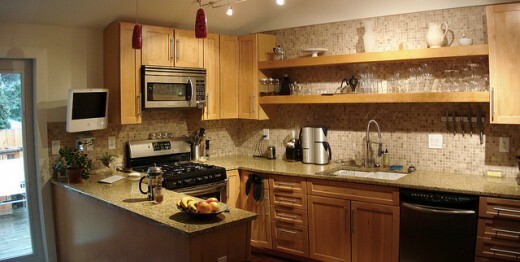 Of course the disadvantage is that you lose counter space and your kitchen appears a bit more cluttered. An under cabinet TV for the kitchen saves more space than their counter top cousins, conserving on needed work space. They also offer added protection because they are mounted up and away from busy counters making them nearly immune to spills and the potential of being hit or unintentionally knocked over. Installation is not too complex but does require some tools and time. A mounted TV of course is also less readily relocated. While there are still a few ready made under cabinet models on the market, some don't offer the picture, audio and durability that should be expected. There are however TV mounts that allow for easy installation of small TVs under the cabinets. It can involve drilling a couple of holes and screwing it in. A similar option is a wall mounted TV. 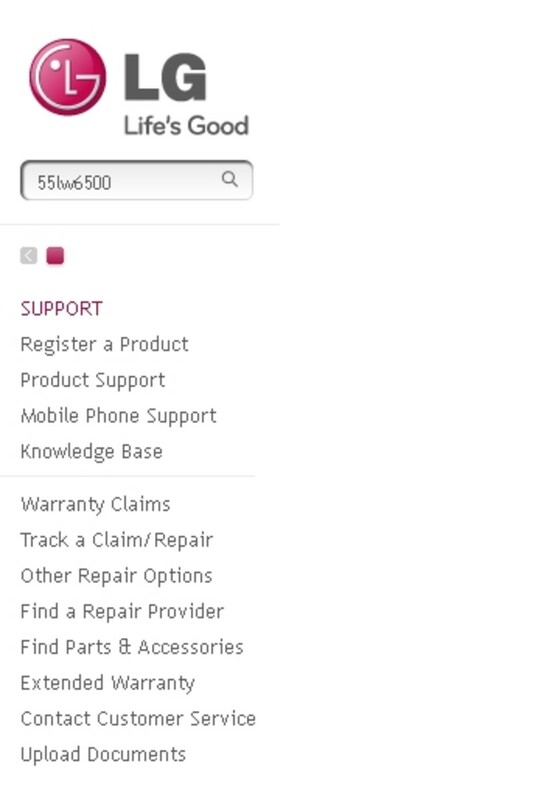 By going this route the number of product available increases. If there is space these can be mounted under the cabinet, but they can also be mounted on any free kitchen wall space. Be sure the TV you select doesn't have a stand that is not removable. You'll need to assure it will match up with any holes in the back of the TV if necessary. Many of the mounts are universal. You'll also want to consider its adjustability to fit the space you have. A mount that allows you to rotate, tilt, or move the set vertically is ideal. Before mounting, you will obviously need to determine where you want to locate the TV. Clearly it will need to be near a power source and any other necessary hookups such as for cable service or satellite. Otherwise you will be going through the hassle of having new lines run behind the wall. Ideally, it would be located away from a direct heat source, away from potential splattering (such as next to the stove or sink), and probably away from any under counter light fixtures. Be sure to consider any other hookups you may want. The space should be carefully measured to assure the TV, when placed on the mount, will fit within the space and will be viewable from where you will be in the kitchen. The mount should come with any necessary mounting hardware, this often includes a template for drilling any necessary holes in the cabinet. Below you can see an installation demo for both an under cabinet mount and a wall mount kitchen TV. The only other real options for those wanting a kitchen TV are appliances, such as refrigerators that have small TVs embedded in them or perhaps streaming on a laptop on the counter. There are really only a few options as far as appliances with televisions, but Samsung has their Family Hub models which give you the ability to share multiple-calendars, photos, notes, and memos or stream music, videos and watch TV. A TV for the Kitchen: Did you find what you need? Let us know! I do not have a kitchen TV. Yet. I really like the idea of an under-the-counter tv. Saves space! Great lens. Great page, that list of things to consider before getting a kitchen t.v. is very useful! We are planning to buy two televisions, a 42 inch for the bedroom, and a 50 inch for the big music room. Your lens however has reminded me that I spend most of my time in the kitchen, and that's where I do most of my television watching. So why are we buying a new television for every room but the kitchen? Have to check with the spousal unit to see who's making the decisions around here. Loved the lens. Never heard of a TV in the fridge before. Is that for watching the really cool shows? I have a TV in the kitchen - very handy. I also find that our laptop computer is very handy in the kitchen. I use it to find recipes. (So much more efficient than flipping through cookbooks.) I still buy cookbooks though. Thanks for visiting me often, I appreciate the positive comments. 5 stars, fan already, favorite and lensrolled. I also have been thinking of buying a TV for the kitchen. NOw I have more of an idea of what I really would like to buy. I have seen the in the fridge TV, I was amazed. Great lens. Great lens! Actually I have been talking about a TV in the kitchen for the past few months! Your info was so helpful.